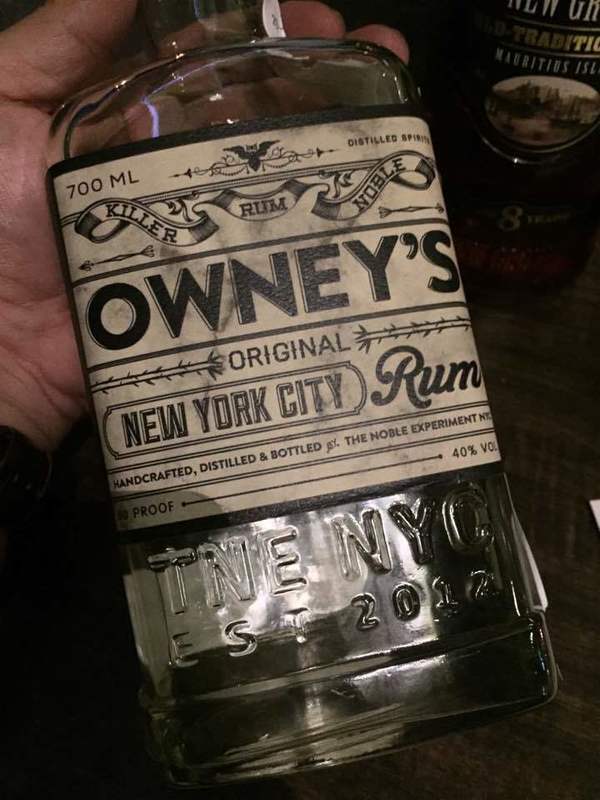 Have you found an online vendor selling Owney's Original? Enjoyed a bottle of Owney's Original White Rum on a very cloudy afternoon. Unique bottle and label design. Clear color. Pure alcohol, weak citrus and slight vanilla to your nose and palate. Strong kick at the end. Better mixed than neat sipped. Super expensive at $39 per bottle for a mixer rum. Batch 3 2015. 40% ABV. Briny nose. Overripe bananas. Faintest bit of astringency. Very briny palate. Absolutely solid light rum. If you're in the market for a light mixing rum, this is available in your market, (and you have deep pockets... $40, seriously!?) it's worth considering. I hope this rum will come down from the hipster market to become more widely available. Fooled me into thinking it had been aged then filtered. Not aged. Then couldn't decide it whether it was made from rapidura or if it was filtered. Made from molasses. And filtered. Honestly, never been a fan of what happens to rum when filtered, but this this is still a nice enough white. I was skeptical of this spirit for a long while before purchasing a bottle. I can say that after tasting I am no longer a skeptic. This rum is quite smooth given that is has no aging. The flavor is also there given the 5 day fermentation. This is a straight sipper no ice even needed. I can say I wish there was more of a seal around this hand bottled rum but other than that I have little complaint. Excellent rum overall. I can not wait until their aged offerings are out.